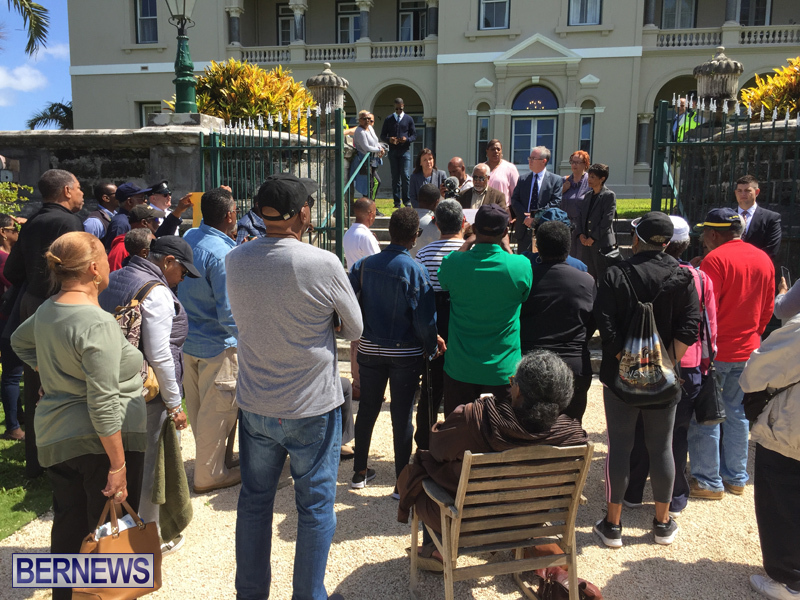 [Updated] Patients of the BHCS and Brown-Darrell medical clinics whose records were seized by the police in 2017 as part of the investigation into the clinics, which are owned by former Premier Dr Ewart Brown, are currently gathering at Government House where it appears they plan to deliver a letter to the Governor. 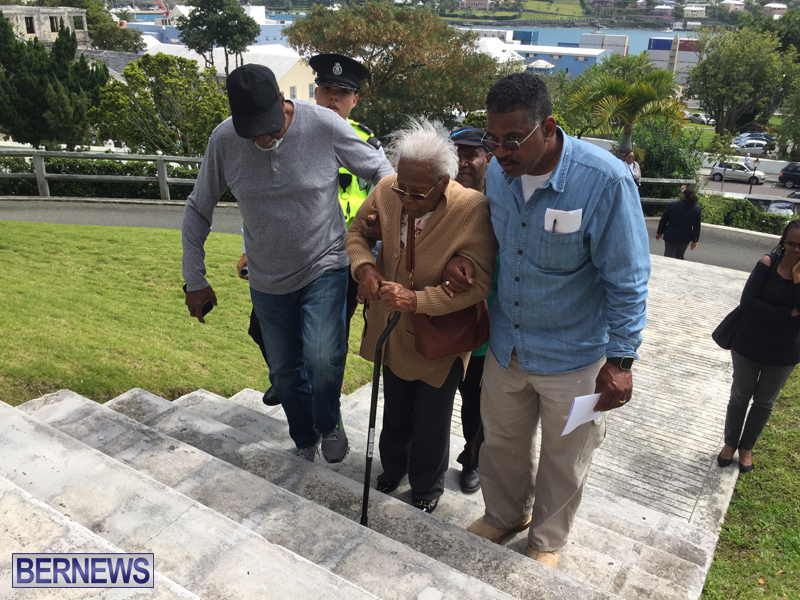 The patients have previously expressed their concern over the matter, saying they “remain extremely concerned” that their medical files have not been returned. 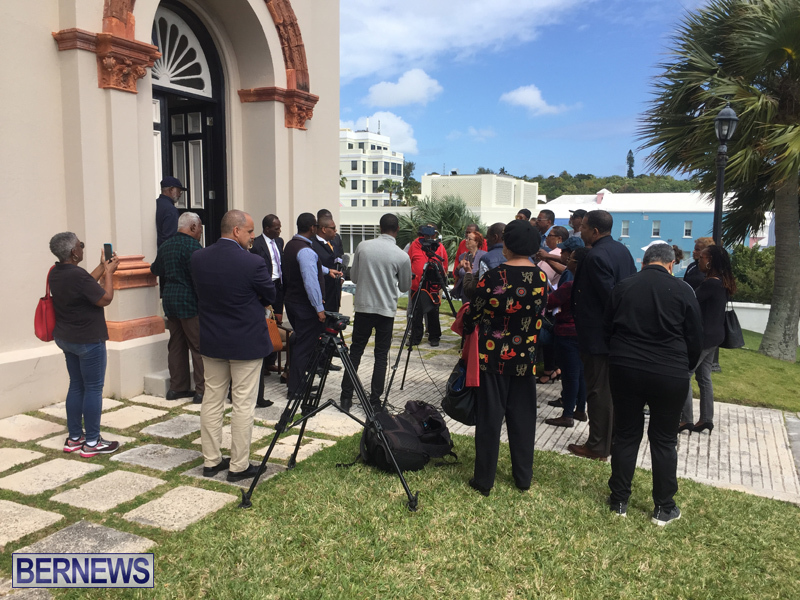 We will have additional coverage later on and in the meantime you can view our past coverage on the matter here, and the live video is below. 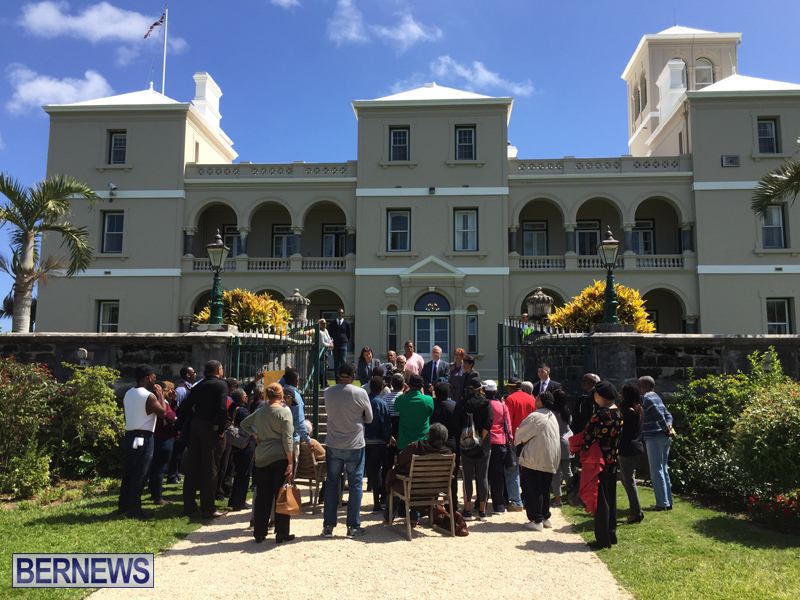 Update: A 7-minute extract of the video above is below, which shows the letter being read and the Governor’s comments. 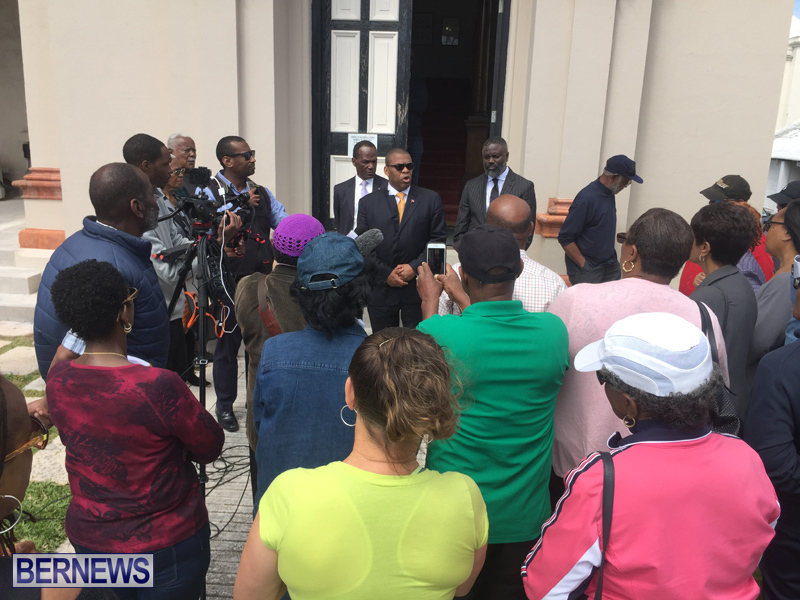 Update 1.32pm: The Governor has come out now, and the letter is being read out, you can watch live on the video above. 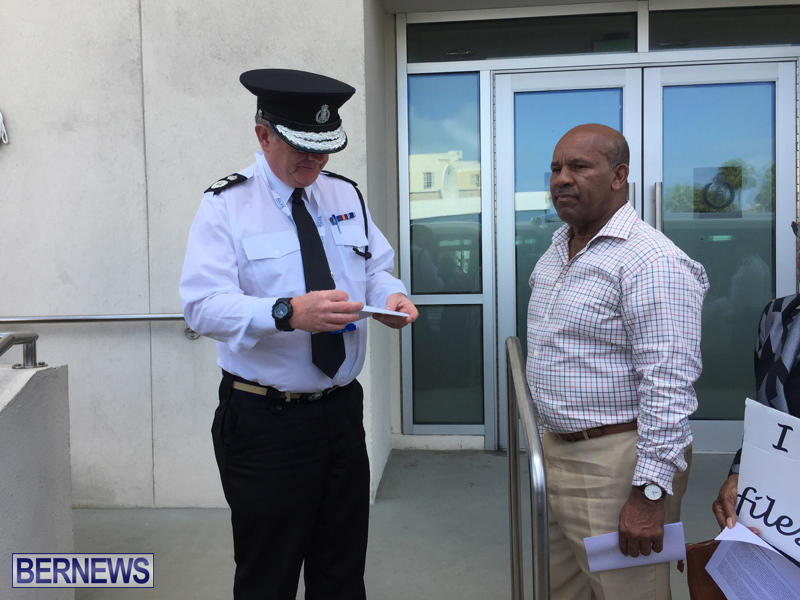 Update 2.00pm: The group has now traveled to the Hamilton Police Station and have delivered a letter to the police, the live video replay is below. I don’t have anything to hide. Just give them back when you are done. aah , but it has nothing to do with the patients being guilty of anything , because they’re not. And the investigation continues. But why do things take so long in Bermuda ? 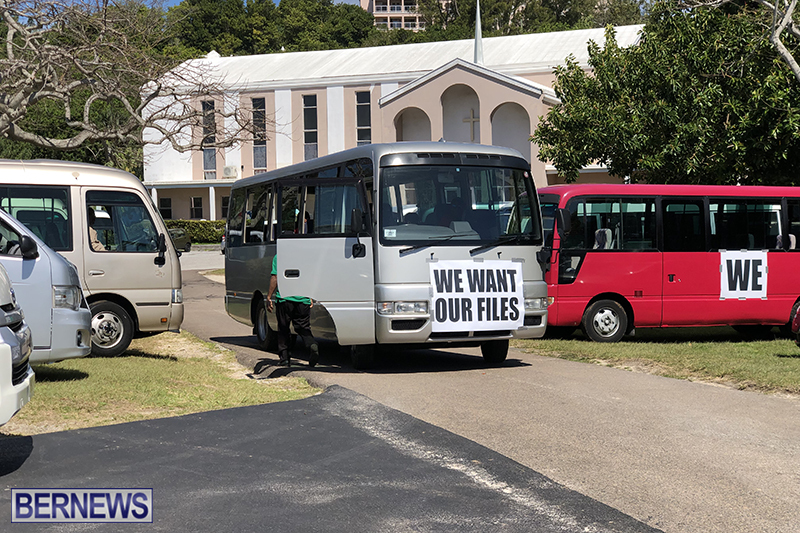 wonder who is paying for the mini-buses. Probably came out of our $1.2m. All the logos and number plates covered up? If anyone else tried driving around with covered up number plates we would be stopped. It’s another sinister reminder that certain people are a ting like the law doesn’t apply to them. Well , about 20% of the cars here are sporting illegal plates anyway , in plain sight , and nothing seems to happen to them ! Bused up by the PLP! Well, it’s a good thing nobody stubbed their toe or hurt their back. Might have needed another MRI if they had. Of course, caring doctors would waive the co-pay as long as the insurance paid the bulk of the fees. Why should a medical practice be exempt from a police investigation ? If you accept that doctors are human and are as flawed as the rest of us than surely you would want the same scrutiny for medical professionals. Not a good look from the PLP. Again. How many letters were delivered and how many files do the police have? Dr. These posters are the people that live amongst us.. I want no parts of them. Screw truth and reconciliation! I am ready to fight for my place in my country! And just picture it. The other half have to live with you and your hero amongst them . The rabbit pops out of the hat! Who pays for that case anyway? British govt? It seems typical of a number of people to make such silly comments above because they are not personally affected. It is a standard international expectation that conversations between a lawyer and client are kept confidential and the same with doctors and their client files; as simple as that. But some of the people above are cut from the same cloth of those who chided Dr. Martin Luther King and who were against integration but are the first to be in the line when the barriers fall and the first to ask why we cant get along? And the first to talk about human rights. Patients rights have clearly been violated and they should sue the police for a billion dollars. I pray that the silly people above will reflect because we know they would never have waited so long to go to Govt House to get their re ords. The people have rights, and they must be respected. Things were not done decently or in order. ever want to meet. They helped to build this country. right and not to be made fun of. They have value. mistreated, used and exploited on their jobs; yet say or do nothing. 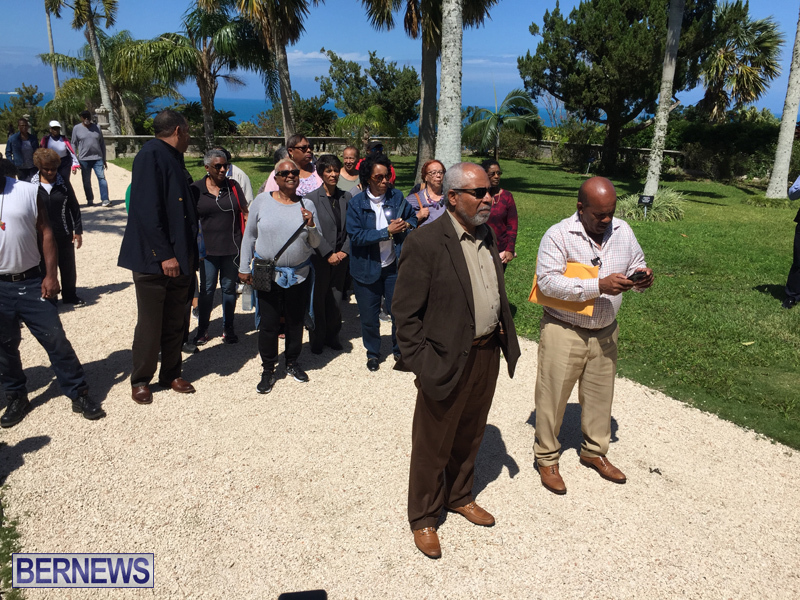 page is appalling and not relative to Bermudian values. cared for and about each other. I think we can do better; we must do better. Who is misleading these patients? 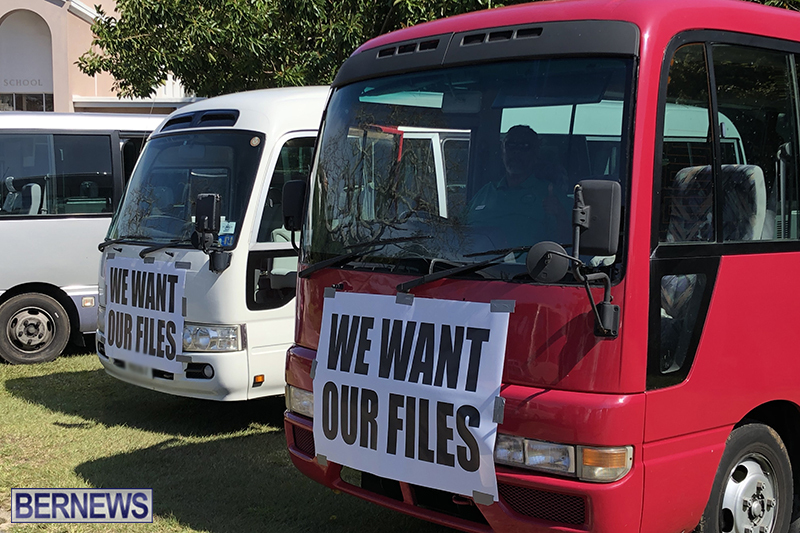 The files will be examined by doctors in the US. If it is revealed that there were unnecessary CT scans MRI’S ECO’S ect..Then they will be singing a different tune. Not everything is a conspiracy.They are being played right now and need to chill it’s their money potentially being wasted.